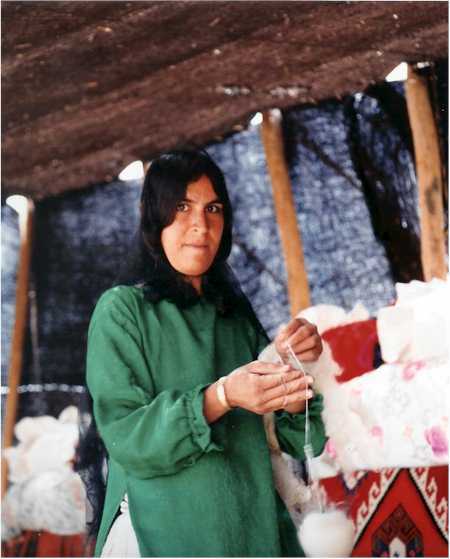 The basic material of a Gabbeh is wool. 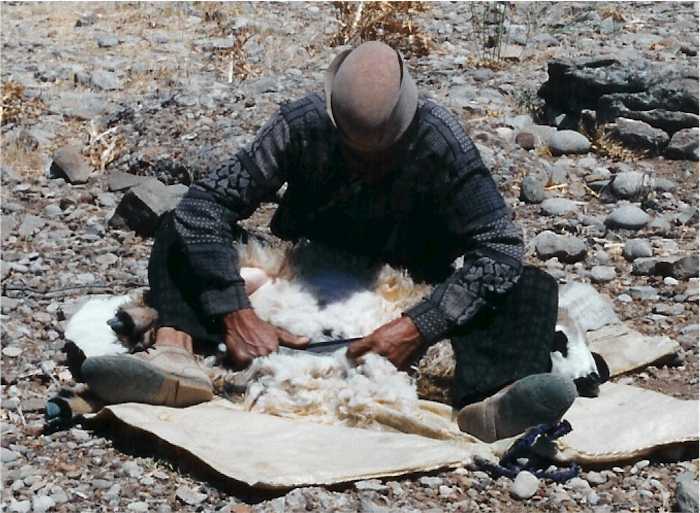 The Qashqai raise a tough breed of sheep with a distinctive wool. 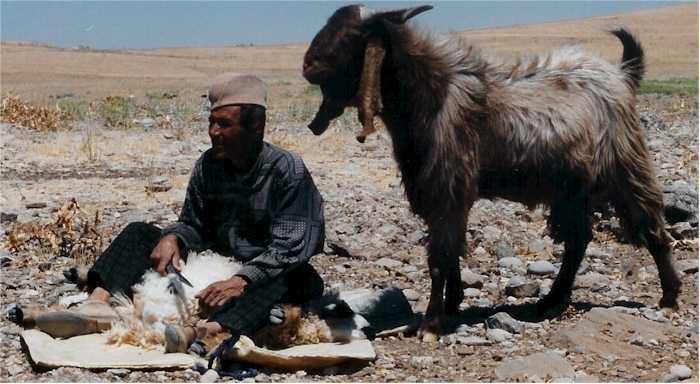 Qashqai men do the shearing. Spinning is done by either men or women. It is the felting property of wool that makes the spinning work. Wool has scales and when wool touches wool the scales catch each other. This is why the wool letters stick to a wool felt board. Spinning draws the wool out and and the twist locks the scales together. 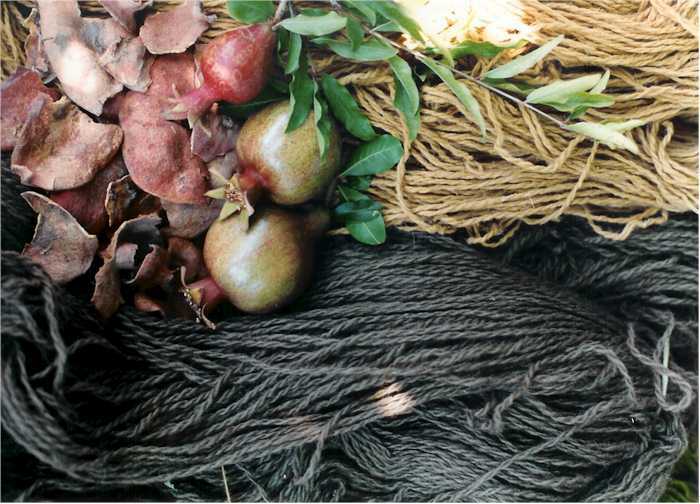 The locking of scales or felting as it is called is what makes the yarn. Wool rugs without color would not be pleasing and the nature of the color is important. 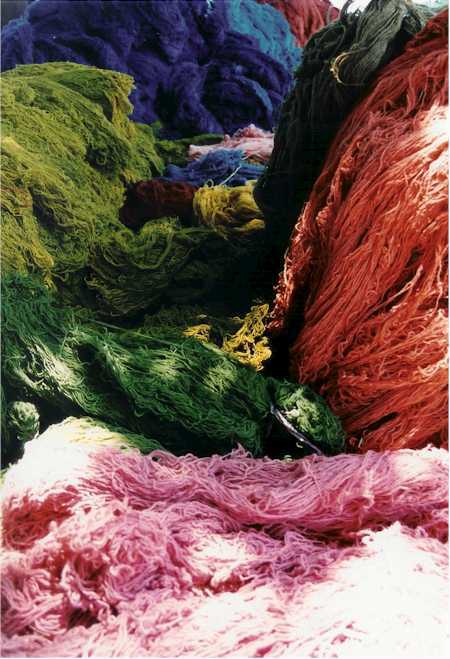 In the late 19th and 20th century there was a massive shift in dying from natural dyes to chemical dyes. The chemical dyes were fraught with problems. The chemical dyes were cheaper and easier so people switched but over years the toxic waste poisoned dyers and seeped into the groundwater in many areas. The rugs suffered as well. As a whole the chemical were less attractive to western consumers. With Dr. Sobhe were a number of people who helped engineer the Natural Dye Renaissance. Abbas Sayahi was instrumental in teaching the industry how to use the natural dyes again. There is an amazing sense of selflessness with these men they are willing to help their own competition for the benefit of a greater good. By the way I was curious about the image above with the gray wool and the pomegranates so I call the Sayahi Dye works near Shiraz Iran. Parham was kind enough to explain to me that depending on the mordant pomegranates can give gray, green, or a muted yellow.